The suggestions below are best followed for at least 3 days prior to your colonic irrigation. If you can’t manage that then do try follow it at least the day before your colonic. 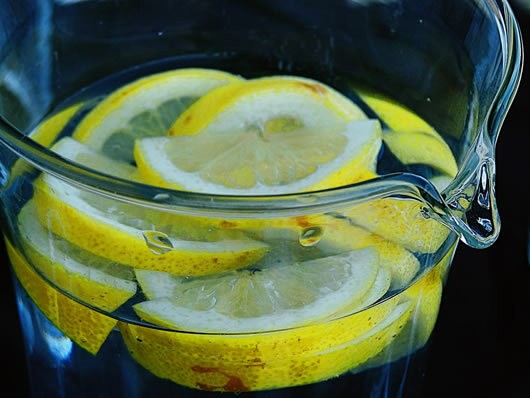 Drink 2 litres of water each day or 6 to 8 cups of herbal teas eg. Peppermint, Fennel, Licorice, Camomile or try hot water with crushed lemon / grated ginger / fresh mint leaves / cinnamon sticks. Making sure you are fully hydated in the days prior to the colonic will really enhance your treatment. Do try including green vegetables or salad leaves. 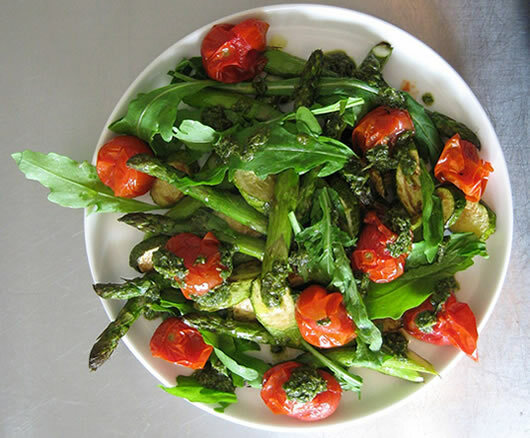 Vegetables should represent 70% of your meal, If this seems like a hard task at least aim for 50%. I recommend eating a combination of raw vegetables e.g salad and some lightly cooked e.g steamed. This will help to ease digestion and prevent bloating if you are not used to eating raw vegetables. 3. DO Chew your food. 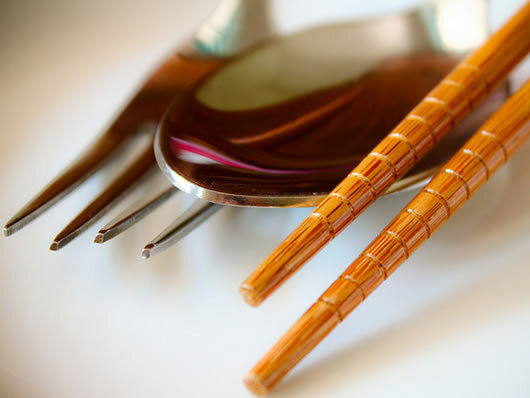 Put your fork, spoon or chopsticks down between each mouthful and chew 20-30 times. This may sound like a lot but that is only because most people are used to shovelling food down the backs of their throats. Putting your eating utensils down will make you aware of your chewing or lack of chewing. Chewing your food will prevent undigested food and gas pockets in your colon. 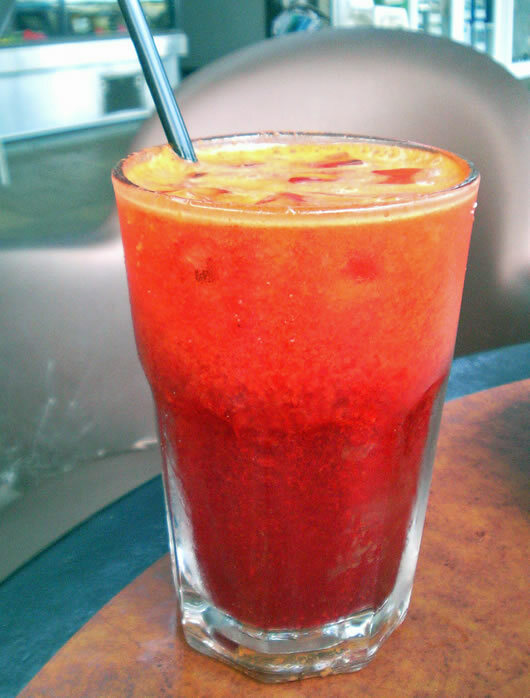 If you have your own juicer or a juice bar near you then drink 1 litre of fresh vegetable juice. If you are not used to vegetables juices you may include apples or pears to add a little sweetness. Avoid orange and tomato juice as they are acid forming in the body. Choose carrots instead, which are a naturally sweet and alkalising vegetable. Now alcohol might be fun for a party but a hangover, no matter how mild may lead to an ineffective colonic. 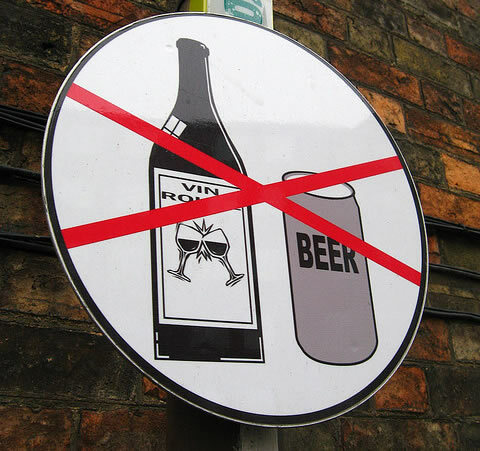 That means even a single glass of wine with your meal is best avoided in the day(s) prior to your treatment. Fizzy drinks leach calcium from your bones. These cans of fizzy gas are turning you into a big balloon as large gas pockets form in your bowel that waste is getting trapped behind. You will be doing your bones a favour as fizzy drinks leach calcium from your bones. 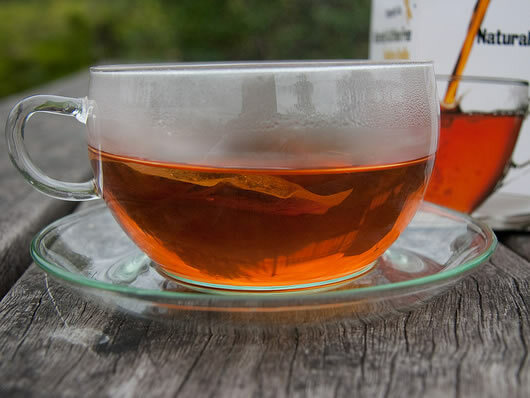 Avoid caffeine, particulary Coffee but DO drink Rooibos tea. Coffee might smell great but will only dehydrate you before a colonic. Rooibis hydratinos (redbush) tea on the other hand makes a great alternative to tea and coffee, is hydrating as well as being naturally caffeine and tannin free and full of antioxidants. Try it with Rice or Goat’s milk. Even Starbucks do Vanilla Rooibos tea – so no excuses for you Starbucks addicts. 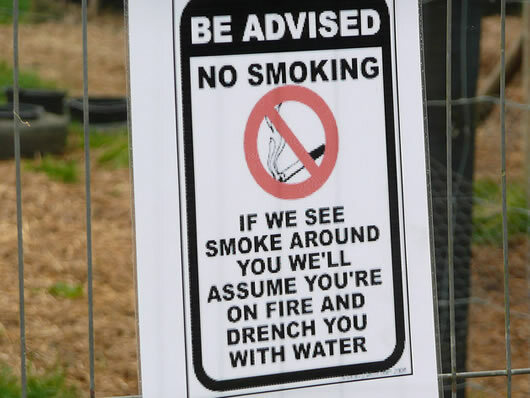 I’m sure you already know they are bad for your lungs. You probably don’t realise that they are also very dehydrating, so whether or not you plan to stop lighting up for good, if at all possible please try to avoid smoking in the days prior to your colonic. This includes avoiding cannabis smoking also. Just because it’s illegal doesn’t mean it’s better for you. Some foods are likely to turn you into a real wind bag. and you’ve probably had a few embarassing moments out in public already. The good thing is colonic irrigation can help clear out a lot of wind and trapped gas. The main gas forming culprits are wheat, pulses and brassica vegetables. Here are a few tips on how to keep these gassey foods under control so your colonic hydrotherapy treat ment will be far more effective. Reduce your consumption of wheat bread. If you find this difficult choose flat wholemeal pitta bread instead. If you love pasta, try Spelt pasta or eat it in smaller quantities, no more than 30% of your plate. 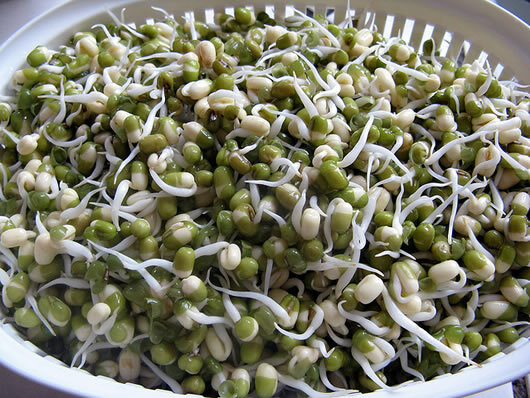 Beans and Lentils are best eaten only if you have sprouted them as they are easier to digest and less likely to cause gas. Vegetables from the brassica family eg. brocolli, cauliflower, cabbage and leeks, are best eaten in small portions and make sure you chew them thoroughly so that your enzymes break them down. Avoid any microwaved meals, E numbers, sugary foods, artificial sweeteners, white flours, chocolate, sweets, biscuits, cakes and pastries and fast food restaurants. 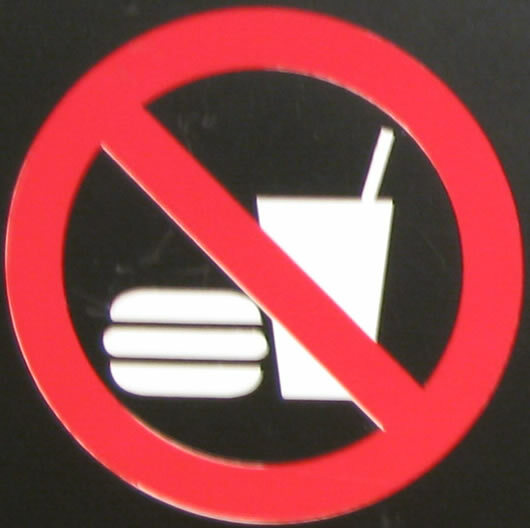 Processed foods get stuck inside the gut and have no nutritional value. 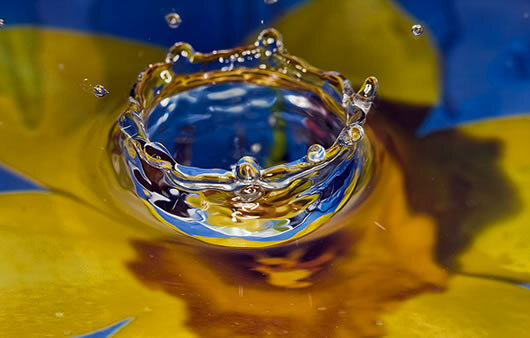 One of the purposes of colonic is to exercise the bowel to restore natural bowel regularity. 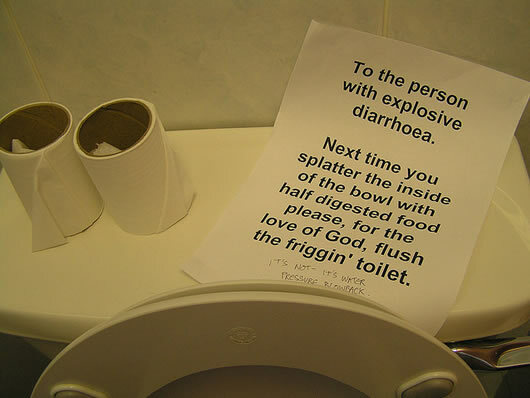 Laxatives irritate the digestive system to give you diarrhoea and do nothing to resolve the problem. This includes avoiding herbal laxatives such as Senna that do not fix the problem but instead lead to long term constipation. If you are coming for a course of treatments we can work to resolve the problem . Why Bother With the Preparation? So you are probably thinking, why bother with all this preparation? Aren’t colonics meant to clean me out anyway? Sure they can and do, however to improve the results of your colon hydrotherapy and clear out as much old toxic waste from the colon as possible, it really can make a big difference if you arrive fully hydrated and having eaten sufficient vegetable fibre. Colonic irrigation is not a quick fix for a poor diet and lifestyle, colonics will help to clean you out and motivate you towards a healthier you. 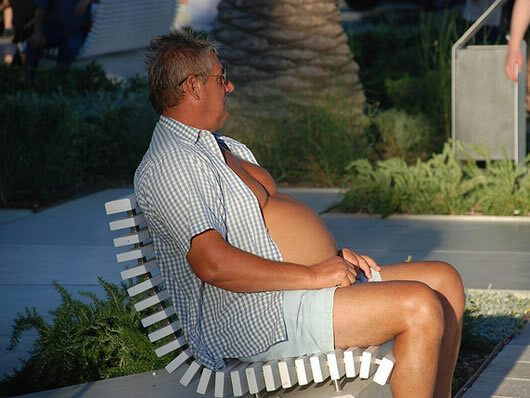 Doing the preparation will mean you maximise your investment in colonics and your health. If you want to clean out the junk, cut out the junk now and let’s make a fresh start! I have had several colonics with Katherine Ung and intend to continue. The benefits experienced, for me, have far out weighed my expectations. I have been to other clinics and non compare to the standard of care and quality of professionalism that is at HydroHolistic. My health and overall well being has greatly improved as a result of the colonics. I can absolutely vouch for this, when I am careful prior to a colonic my colonic is soooo much better for it! 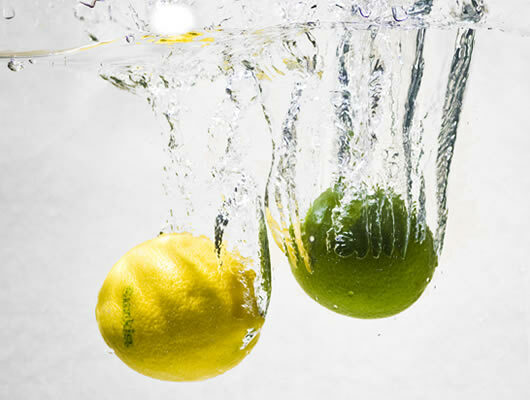 Thanks for finally talking about >How to Prepare for a Great Colonic, HydroHolistic <Loved it! I’m glad this was useful and enjoyable. Be sure to find a certified and professionally trained colon hydrotherapist using gravity closed system colonics for the best results. I’ve had issues with diarrheal episodes recently (about 1month) and a recommended old medical intervention was a cornstarch enema. My thoughts were this hydration method may be a more heathy alternative and the solution. All stool cultures have ruled out infection as the source. Supplements of acidophilus and probiotics have improved the frequency and extent of episodes but not resolved it completely. What are your thoughts on my being a candidate? I’ve been thinking about getting one for years, after visiting your sight I scheduled my first colonic. Thank you for the great insightful informationation . IT options for information systems, backup and network security. You may also take action you can’t with players: You can transmit the background music along with other players. wind speed in meters per second, precipitation in inches, and distance in miles etc. nice. very nice. it will diffinitely help me. Also cannabis is not illegal, I can walk right down the street into a cannabis store.